Boasting picturesque natural beauty and tranquil tropical ambiance, Bali is the definitive luxury holiday destination. With its beautiful weather, world class resorts and laid back atmosphere, there is no better place to relax and indulge in paradise. Bali offers a range of luxury accommodation options for those seeking a lavish escape, including spectacular beachfront resorts, private luxury retreats and intimate self-contained villas. Consult our list of luxury resorts below to discover our exclusive accommodation options, offering the ultimate in elegance and service. Surrounded by peaceful bamboo forests and winding meandering streams Padma Resort Ubud is complete paradise. A truly luxurious retreat, this resort offers deluxe suites and an extravagant range of facilities including infinity swimming pools, complimentary yoga and indulgent day spa. Offering beachfront accommodation right in the heart of Seminyak, The Samaya Seminyak offers 5 star luxury accommodation complete with private villa plunge pools, complimentary shuttle service and daily afternoon tea. Featuring luxury self-contained villas set amongst lush Balinese gardens, The Elysian Boutique Villa Hotel is one of Bali's most popular 5 star resorts. Featuring luxurious spacious rooms, onsite day spa and gourmet restaurant, the Elysian is a truly indulgent accommodation experience. Located on the shores of Bali's southern coastline, Movenpick Resort & Spa is a stylish and sophisticated escape. Offering refined luxury and plethora of onsite facilities, restaurants and kids club, Movenpick Resort & Spa is perfect for families seeking a luxe resort. 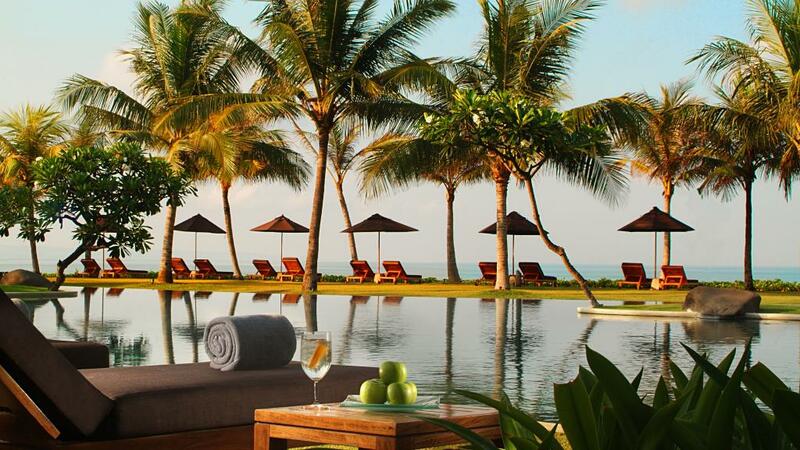 A luxury 5 star resort set on the shores of Kuta, Pullman Bali is a modern and lavish resort. Featuring ocean view suites and superior leisure facilities including state of the art fitness centre, day spa, kids pools, babysitting service and car rental, the Pullman Bali Legian Beach offers everything you could possibly need on your Bali holiday.